Stranded hundreds of miles from the nearest major city, Ely, Nevada is frequently cited as the most isolated town in the continental U.S. 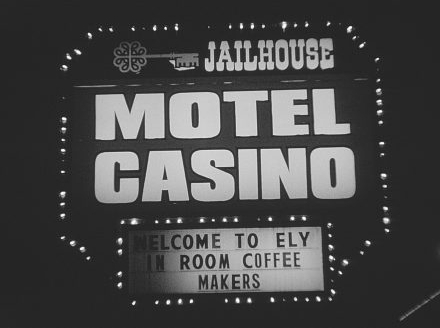 But first as a stagecoach stop, then as a copper mining mecca, and now as the home of Nevada’s maximum security prison, Ely has attracted wandering souls who don’t always fit in. Part small town portrait, part noir travelogue, The White Pine Project traces some of these journeys through a lyrical collage of poetic voiceover, interviews, observation, and reenactment—much of it shot on 16mm film. Along the way it questions the nature of love and the finality of death.